Mavis Madeline Rasnick was born October 1, 1922 in Clinchco, Virginia to Woodford Grady and Susan Violet (Sykes) Rasnick. She was the oldest of six children. She spent her childhood in Virginia until she left for college in Kentucky where she met the love of her life, Alvin F. Durham, Jr. They married May 29, 1942, and were together until his death in February 1998. Their life was full of interesting experiences and challenges making them grow even more together through the years. They were blessed with three children: Deanna (Fred) Dyer, their children, Michael, Rebecca, Matthew and Mark; Alvin III (Sharon) Durham, their children Alvin IV and Kristen, and Mary (Wally) Purdy. They have nine great-grandchildren Kristine (Ben) Risch, Nicholas Dyer, Sullivan Dyer, Brandon Juhl, Brooklyn (Dallas)Wormley, Kienen Dyer, Aidan Dyer, Lucas Dyer and Alvin Durham V and four step-great-grandchildren, Nick Seitz, Sarah Seitz, Erica Seitz and Autumn Seitz. One great-great grandson, Oliver, was born to Kristine and Ben on December 29, 2018. She is survived by her brother W.G. (Elizabeth) Rasnick, Willoughby, OH; sister Belva Raines, Chesterfield, OH; brother Earl (Penny) Rasnick, Dickinson, TX; and sister-in-law, Wilma Rasnick, LaPorte, IN. She is also survived by her children, grandchildren, great-grandchildren and great-great-grandchild. 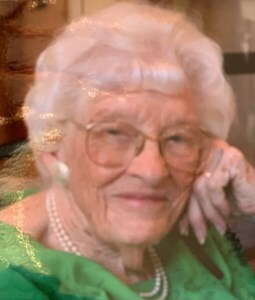 Her service will be May 5, 2019 at 3:30 p.m. at Paradise Valley Christian Church with Pastor Larry Berlin officiating. Memorials in her name to Casper Civic Chorale or Paradise Valley Christian School would be appreciated. She will be greatly missed by her family, friends and everyone who knew her. But she is now at home with Jesus and with her beloved “Al”! To leave a special message for Mavis' family, please click the Share Memories button above. Add your memories to the guest book of Mavis Durham. Deanna - my sincere sympathies to you and your family.